DAVAO CITY, Philippines—Taking cue from Pope Francis’ encyclical “Laudato Si” (On Care For Our Common Home), Jesuit university Ateneo de Davao will build an environment-friendly school for its Senior High School campus in Bangkal, this city, the first to be built in the Philippines. Speaking at Wednesday’s groundbreaking ceremony, Ricardo P. Enriquez, director of AdDU’s Senior High School, the soon to be constructed campus will feature some innovative designs like collecting rainwater to be used for comfort rooms and other purposes. Enriquez said the campus will have photovoltaic solar panels as an alternative source of power supply and aerodynamic design to harness wind to cool off the building. The Jesuit priest also added that university campus in Bangkal will be dedicated solely for its Senior High School, noting that it would be bigger than that of the Jacinto campus. The SHS campus, according to Enriquez, will feature four school buildings and one administration building designed by its principal architect, John Immanuel R. Palma. The SHS campus will have 90 classrooms and 38 prime laboratories including the science, engineering, speech, and art laboratory. ‘First Eco-school’?? 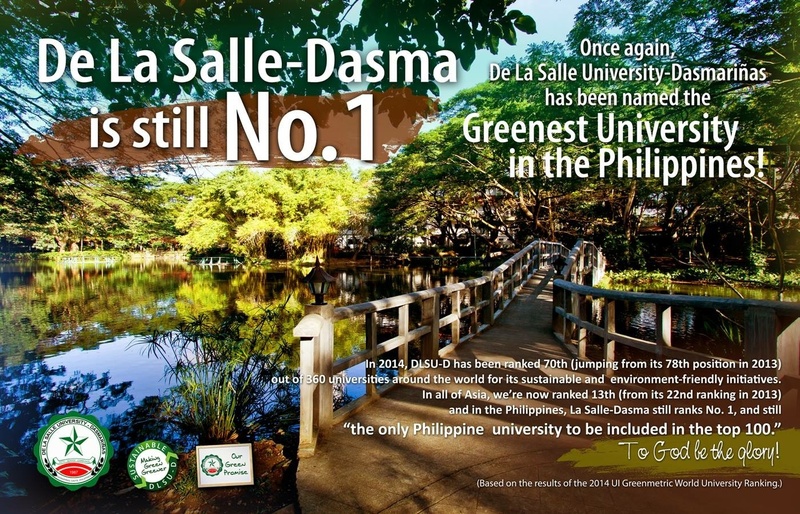 Then what about DLSU-D? 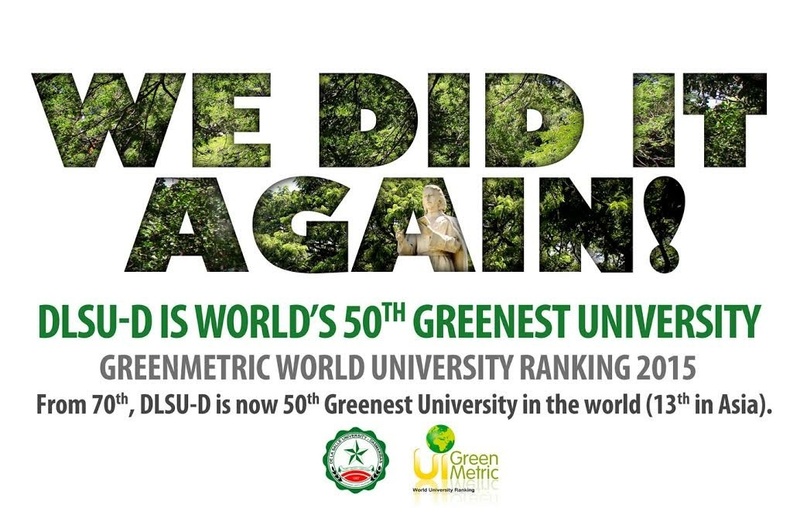 But DLSU-D was awarded as the 50th Greenest University in the World. How come it’s the first eco-school PH?